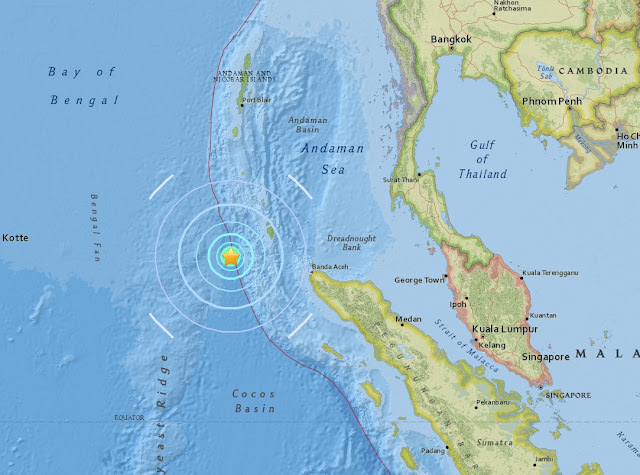 A mag 6.0 - 231km SSW of Mohean, India is only the second major quake to strike this month. A green alert for shaking-related fatalities and economic losses. There is a low likelihood of casualties and damage. 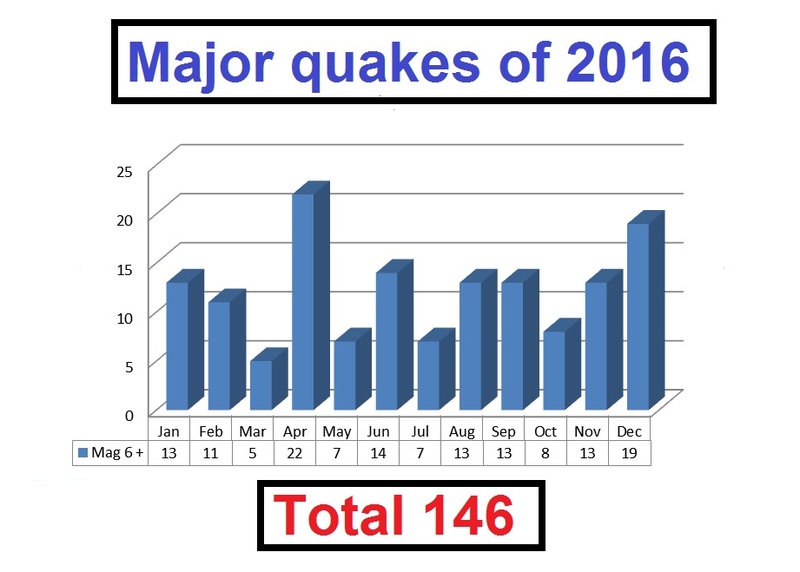 It’s the second major quake of March and the 14th major quake of 2017. 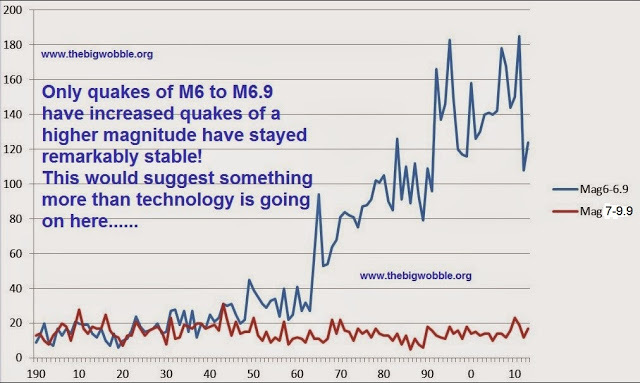 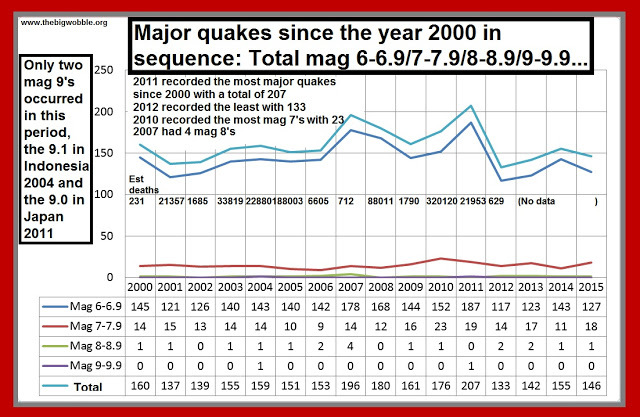 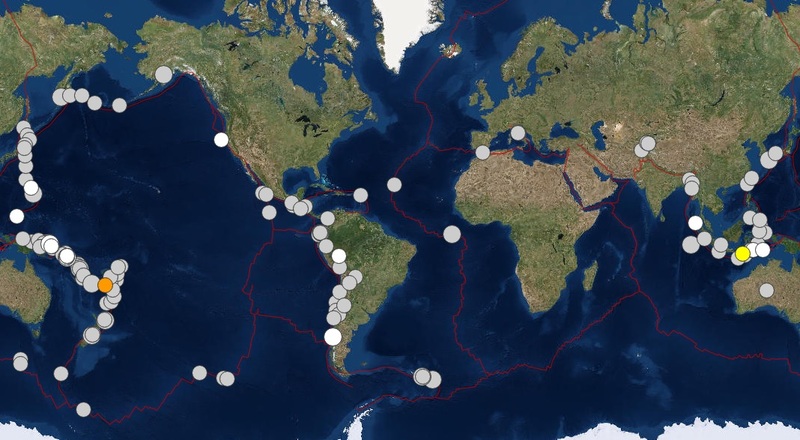 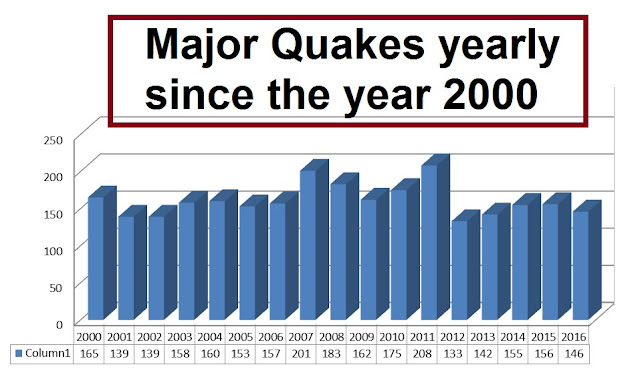 Major quakes from 1900 to 2015 has seen an increase of 450% although somehow major quakes over mag 6.9, have remained remarkably stable since the same period, see below.